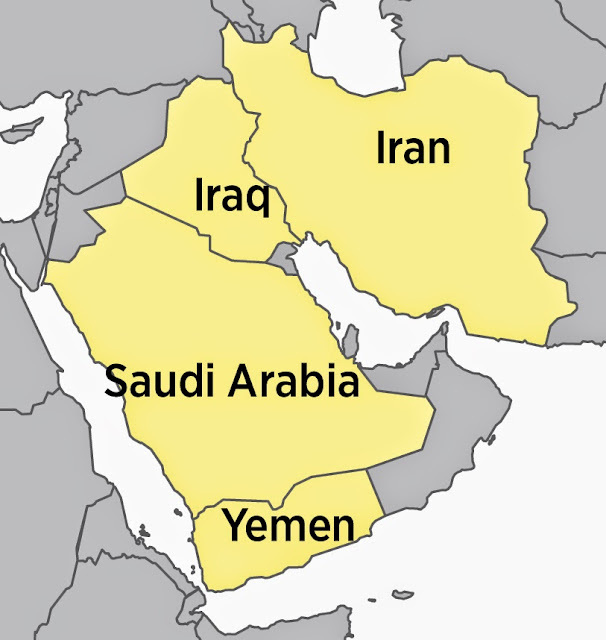 Will Iran Attempt to Seize Control of Saudi Oilfields? (FORBES)—...[Iran] now has the means to make a play for control of the immense oilfields of Saudi Arabia, Kuwait and, all too obviously, Iraq, where its proxy militias are gaining strength. Militias under Iranian control can achieve Teheran's imperial goals almost as well as WWII-style armed forces. ...Putin would ally himself closely with the murderous mullahs of Teheran, since both have a desperate desire for more expensive petroleum. To the Saudi north lies Iraq, where Iran is exercising more and more control. Adding to Saudi anxieties is the fact that most of its oil assets are in an area of the kingdom in which Shiites are the distinct majority. Iran's Shiite mullahs figure this is territory ripe for Iranian suzerainty and feel they have nothing to fear from Saudi ground forces.